Golden Gate Sign Company is the premier designer and manufacturer of signs in Northern California. Our Northern California sign company designs and manufactures an array of customized interior and exterior signage types, including, but not limited to, monument signs, vehicle graphics, banners, channel letter signs, political campaign signs and more. Our sign company custom-designs your project according to your specifications and manufactures it in our Oakland facility. We employ a trained and enthusiastic staff of Design and Graphics experts who will provide a model that takes your objectives into account, a Fabrication staff who will manufacture your signage exactly according to your requirements, and an Installation team who will provide regular maintenance services. Please read on to learn more about what places our service ahead of other local sign companies. Please click on the links below to learn more about the services that our sign company performs - and that other California sign companies don't. Our Process: Need signs in Northern California? We'll meet with you to understand your requirements, and will then manufacture the signage that meets both your commercial and aesthetic criteria. Sign Types: Unlike other sign companies in Northern California, the sky's the limit when you work with Golden Gate Sign Company. We're equipped to produce a huge variety of both traditional and non-traditional signage. 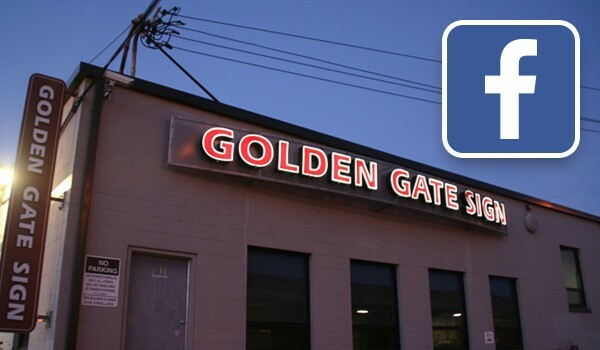 Contact Golden Gate Sign Company to be matched with the signs your Northern California business needs. Fill out our no-obligation request form or call our Northern California signs company today.